Selecting the best nursing school in Colorado can be difficult. To make the process easier first look for a school that supports students towards licensure and beyond. A great way to measure this is through NCLEX-RN "pass rates." We have ranked the top 10 nursing schools in Colorado by analyzing current and historical NCLEX-RN "pass rates", meaning the percentage of graduates who pass the exam, out of the 28 RN programs in the state. Programs reviewed include schools that offer an Associate in Nursing (ADN/ASN), BSN, or Direct-Entry MSN Degree. The state of Colorado is forecasting an influx of more than 20% highly-qualified nursing staff as being required by the year 2022. Colorado is committed to providing high standard nursing care to their patients, and with the state's aging population, there is a need for highly skilled and diversified nurses in the state. Nurses in Colorado with a Bachelor's of Science degree in Nursing (BSN) earn more money hourly and find more job opportunities in more locations, including in a variety of urban and rural areas. Many of the post-secondary institutions in the state have nursing programs; often, they offer the Associate's Degrees in Nursing (ADN). One of the fastest pathways to become an RN, the ADN is typically a two-year program. Occasionally coursework is condensed so that the 4-semester course load falls into about a year and a half's time. 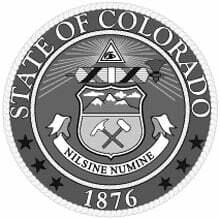 Throughout Colorado, there are about 20 ADN programs offered through community colleges and private colleges - all are approved by the Colorado Board of Nursing for operation in the state. 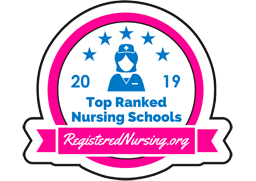 The Accreditation Commission for Education in Nursing (ACEN) and the American Association of Colleges of Nursing (AACN) are the largest two institutions that assist schools and enforce regulatory policies to ensure that nursing students receive a top-quality education. In the interest of transparency, institutions that hold accreditation from one organization or the other are clearly listed in state Board of Nursing documents. You will want to ensure that upon completing the ADN program at your preferred school that you will be eligible to take the NCLEX and thus become nationally registered as an RN. Last year, about 90% of the nursing students that took the NCLEX were successful, and many were from ADN program streams. Located in Glenwood Springs and several other medium-sized communities around the state, Colorado Mountain College has an NCLEX pass rate of over 92% and offers a well-respected ADN program in a friendly and scientifically driven atmosphere for local students. There are easily enough ADN programs throughout the state to satisfy the needs of each RN student - and each of them have program costs that are unique. Students are encouraged to explore the full costs of the program they wish to apply to, remembering that beyond tuition, there are equipment, materials, textbook and sometimes clothing costs that students must incur in order to meet the needs of the program successfully. For example, the tuition portion of the ADN program at Lamar Community College is about $161 per credit hour in a 70-hour program over 4 semesters. Program costs are extra, as are room and board costs. Offered through many junior and private college locations, ADN programming is very accessible to students throughout the state. With a timeline that is generally 2 years in length, programs are affordable; students graduate and in high-demand fields, can graduate in a prescribed timeframe and begin work quickly to pay down outstanding college costs. Colleges also make great use of technology in order to give their students the hands-on training required to enter the field. Colorado Licensed Practical Nurses (LPNs) who wish to become registered nurses can opt to enroll in an LPN to RN specialty program. The aim of these programs is to bridge the gap between practical and registered nursing skills and duties. There are a few different program types fall under the LPN to RN umbrella, including LPN to RN diploma programs, LPN to ADN, and LPN to BSN pathways. Many choose to pursue the most basic transition program; the LPN to ADN. This type of pathway can usually be completed in a year or less. Westminster's Front Range Community College, for example, offers an LPN to ADN that requires 54.5 total credit hours. Students interested in a more intensive option tend to go with the LPN to BSN pathway, which will provide them with a bachelor's degree in nursing. 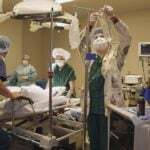 Colorado Mesa University offers an LPN to BSN that prepares students for employment in a number of different medical settings. You may decide to earn a more advanced nursing degree at the start or midway through your career. With this in mind, many students consider the Bachelor of Science in Nursing (BSN) as a viable option. Usually, a complete course of study requires 4 years, and most programs are found through universities. A great example is the BSN offerings at Colorado Mesa University, though there are approximately 15 institutions and satellite campuses through Colorado that offer BSN credentials. There are a number of options for freshmen or RNs to pursue their BSN. With that in mind, some of the criteria to look for in an on-campus BSN program are the size of the classes - while freshman lectures often have hundreds of attendees, smaller class sizes are far more common for hands-on and clinical rotations. Another great look-for is the credentials of the instructors. Easily searchable online, instructors and professors should have extensive experience and additional credentials that give students confidence with the quality of evidence-based instruction that they will be receiving. The Metropolitan State University of Denver has an accredited nursing program that leads pre-licensure candidates down the path toward a rewarding nursing career via a BSN. With diligent and empathetic healthcare professionals as teachers and role models, students hone their desire to help patients, especially in the face of a global nursing shortage. Many universities make it easy for post-licensure RNs to pursue additional qualifications via continuing education in order to enrich their careers and patient practice. Typically, four school years or eight semesters, BSN programs have a standard length and pace. However, for those who have already passed the NCLEX, you may be eligible for an accelerated RN-to-BSN program through your school of choice. Candidates and nurses are encouraged to consult with their school's nursing program admissions personnel directly. BSN tuition costs and associated equipment, uniform, textbook and technology costs can vary greatly between schools. Students may find the effort of researching each school's tuition and full costs a useful exercise in helping them decide where to attend. 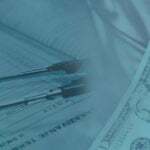 Particularly true of nursing programs, there are a large number of scholarships and grants available. The University of Colorado's on-campus BSN program tuition costs about $410 per credit hour for in-state residents. Additional costs (including room and board) are extra. Successful completion of a BSN program has the advantage of preparing and providing greater career options in terms of advancement and flexibility. Earning potential for BSN graduates is also higher. RNs can also access an RN to BSN bridge program to help them continue their career. For nurses who are determined to lead in their field, there are an increasing number of programs available at the Master of Science in Nursing (MSN) level. Today's MSN programs are building the leaders of tomorrow's nurses in pathways such as administrators, nurse educators, managers and policymakers. Whether candidates are interested in clinical care, administrative or teaching environments, MSN options are designed to accelerate your nursing career. About 3 years in duration of full-time coursework, the RN to MSN program is like having a full-time job, as the graduate degree requirements are definitely taxing on both a learning and time-management level. Part-time studies are generally required to be completed within 5 or 6 years. Tuition costs for MSN programs are definitely more money than their undergraduate counterparts. 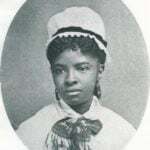 Tuition does vary from school to school and does not include the other necessary expenses that nurses will have to incur in order to complete their training, such as textbooks and materials, lab costs, clinical equipment or uniform costs, since graduate students are expected to have most of these items as practicing nurses. For an example, the University of Colorado at Denver's MSN program costs students about $600 per credit hour and does not include additional fees. 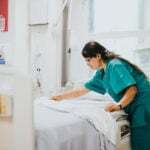 If you are venturing into the world of nursing and you have evaluated all your options, then you will have come across accelerated nursing programs. Colorado has a number of colleges throughout the state that offer accelerated nursing degrees, some of these programs are quite intensive as you can imagine, and range from 12 months to 20 months in length with most being of a full-time nature. The admission requirements for these programs vary, which in turn means the costs for each program are dependent on how many prerequisite courses you may have to take, as well as the length of the program itself. At the foot of the magnificent Rocky Mountains, Pikes Peak Community College is home to one of Colorado's choice nursing programs. Nursing graduates from PPCC possess the technical skills and patient advocacy to make them a valuable asset in the clinical setting. Visit the Pikes Peak Community College nursing website to learn more. Front Range Community College - Larimer is the hub of a prestigious nursing program in Fort Collins, Colorado. With a number of diploma and degree options, FRCC meets the needs of today's expanding healthcare field. Visit the Front Range Community College - Larimer nursing website to learn more. Glenwood Springs’ Colorado Mountain College offers an ADN program that prepares students for the NCLEX-RN exam and gives them the tools they need for a successful nursing career. The program also emphasizes early experiential learning through clinical experiences. Check out the official Colorado Mountain College nursing program. The Colorado State University – Pueblo School of Nursing offers multiple baccalaureate nursing pathways, including a traditional BSN and an accelerated BSN for those who already hold a non-nursing bachelor’s degree. These programs are based on a philosophical approach to nursing that incorporates holistic health and environment. Follow the link to learn more about the Colorado State University - Pueblo nursing program. Located north of the Denver Metropolitan Area, historic Greeley is home to the University of Northern Colorado's School of Nursing. State-approved, UNC's nursing program trains leaders in patient care. Get all the program details by visiting the University of Northern Colorado website. Alamosa's Trinidad State - Valley Campus offers students numerous registered nursing pathways. Their popular ADN and LPN to ADN programs provide students with the guidance and skills needed to find success in the nursing workforce. Visit the Trinidad State - Valley Campus nursing website to learn more. As part of the Denver-Aurora-Lakewood metropolitan area, Littleton is also home to the notable nursing program found at Arapahoe Community College. With ASN and BSN tracks and clear bridge procedures, ACC is committed to serving the medical profession through high-quality graduates. Check out the official Arapahoe Community College nursing program. Colorado Christian University, located in Lakewood, offers a pre-licensure BSN program grounded in liberal arts and sciences as well as faith. The curriculum combines theory, lab skills and simulation, and clinical learning. Follow the link to learn more about the Colorado Christian University nursing program. At the eastern edge of the Denver Metropolitan Area lies the University of Colorado College of Nursing. Clinical and theoretical opportunities abound in an urban environment; UC's nursing graduates enter the field well prepared for the rigors of professional life. Follow the link to learn more about the University of Colorado nursing program. Denver College of Nursing's offerings includes both ADN and BSN programs in addition to an RN bridge program and a master's pathway. The school's goal is to train the next generation of nursing leaders through a curriculum that emphasizes clinical skill, critical thinking, and more. Visit the Denver College of Nursing nursing website to learn more.